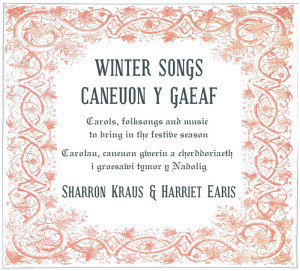 I’m playing a handful of winter concerts with Harriet Earis again this year in Wales and the borders. Come and see us if we’re playing near you. 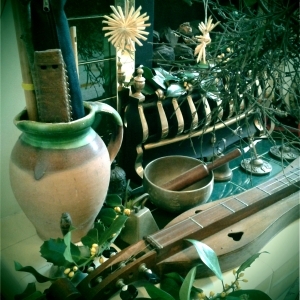 The cd of winter songs, carols and tunes we recorded last year is still available on Bandcamp. 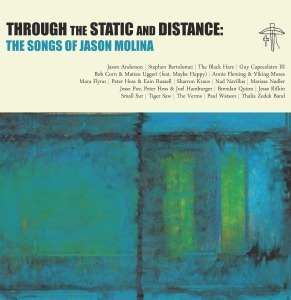 Through the Static and Distance: The Songs of Jason Molina, an album paying tribute to Jason Molina, will be out on vinyl on Burst and Bloom Records in January and is available for preorder now. This double album features tracks by Thalia Zedek, Marissa Nadler, Tigersaw and others. My album of songs inspired by the Mabinogi is due for vinyl release on Claypipe Music early in the New Year. Stay tuned for updates!